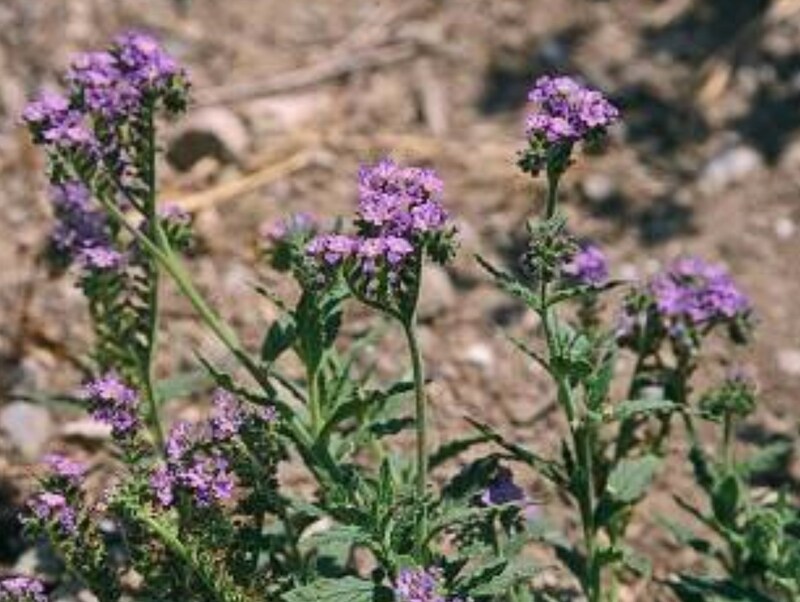 Heliotropium amplexicaule (clasping heliotrope) is a perennial herb/ (family Boraginaceae) with purple flowers and narrow leaves found in the San Francisco Bay area, south coast and desert ranges of California. It is native to Argentina. It occurs in grasslands. It spreads via seeds and root fragments. The sticky seeds can be dispersed by animals, water and machinery.